It was 1949 when Joyce Hornady founded Hornady Manufacturing, and although he started fairly small, it didn’t take long for the company to build a stellar reputation in the world of firearms and ammunition. Today, when firearms aficionados want defense rounds to protect themselves and their families, Hornady is often foremost in their minds. 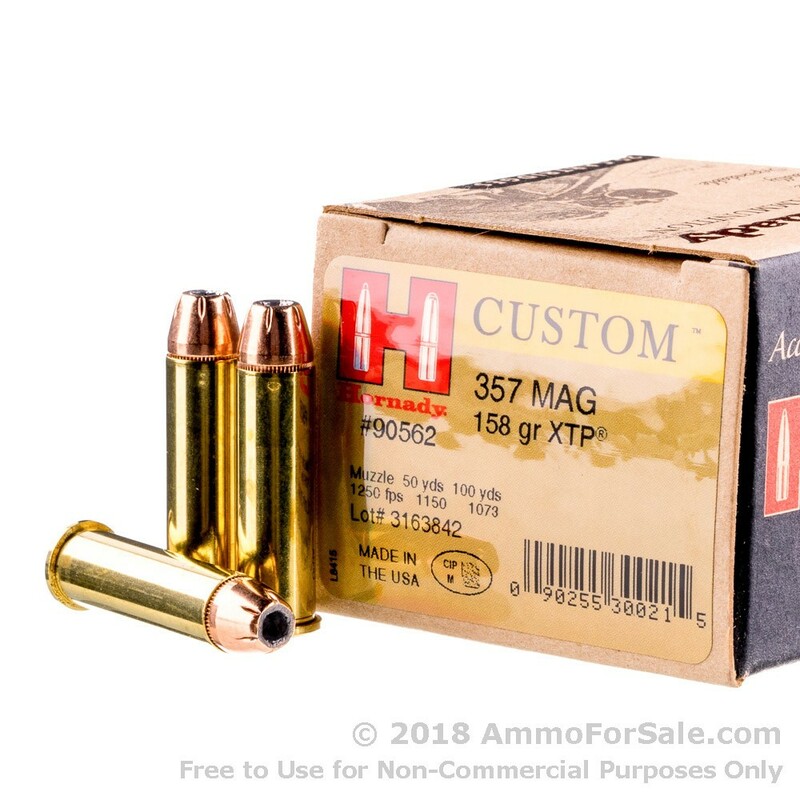 These Hornady .357 Magnum 158 grain JHP rounds are a good choice for self-defense; their JHP’s expand on impact and thanks to the greater strength of the metal used in their cases, they’re tougher rounds and also reduce lead fouling in your gun’s barrel. Much like Hornady, the .357 Magnum has a reputation for strength and reliability. 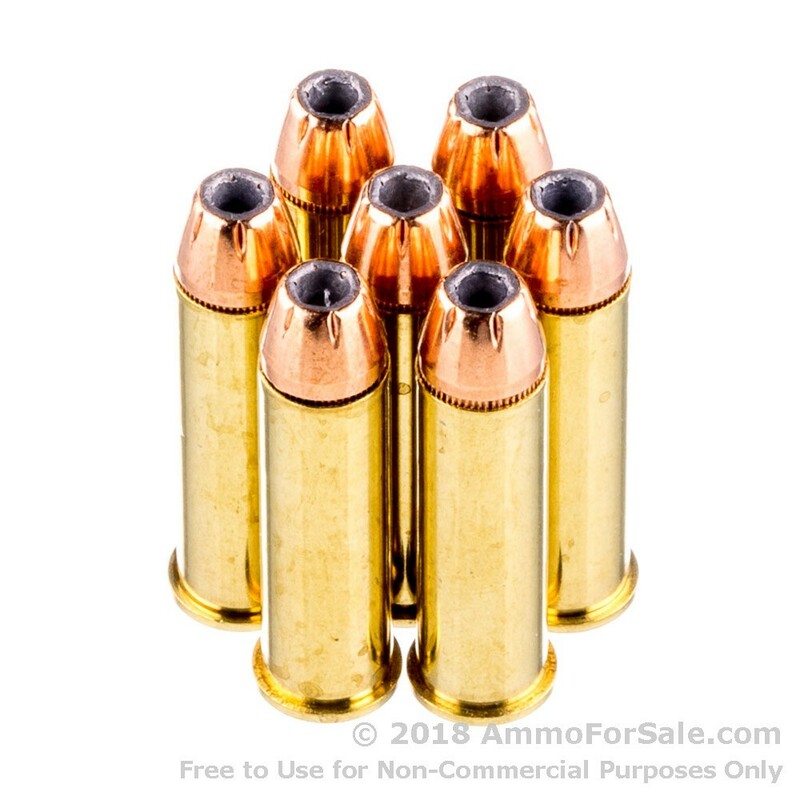 These JHP rounds are a medium-weight 158 grain, so they’re faster than heavy rounds while still heavy enough to pack a bit more of a whallop. They’re designed for self-defense use, but experienced shooters know it’s a wise choice to run a few rounds through your gun for practice as well, because defense rounds don’t feel the same as target rounds. 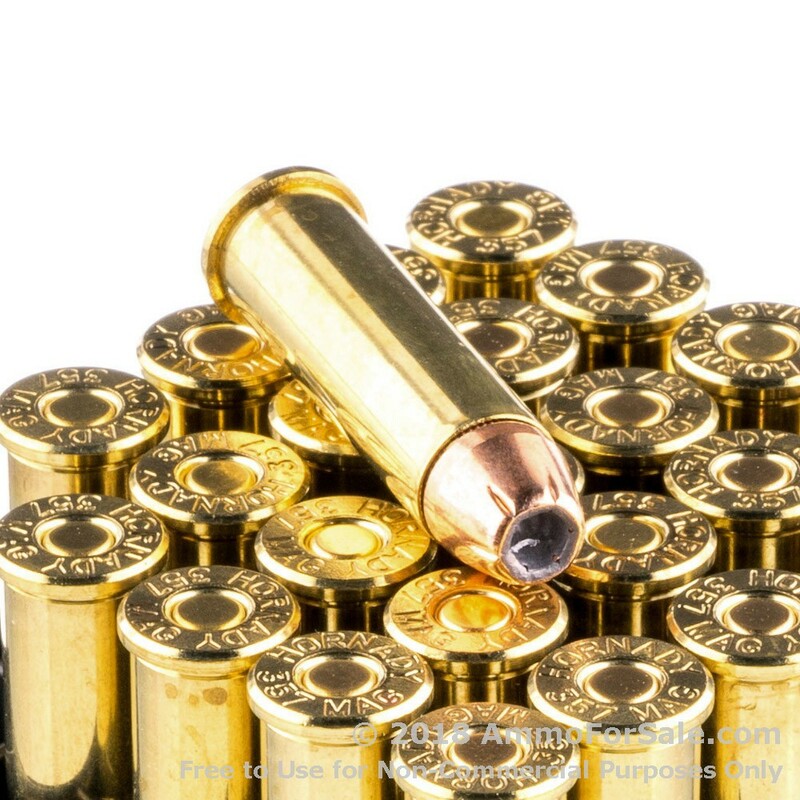 This ammunition has a muzzle velocity of 1,250 feet per second and a muzzle energy of 548 foot-pounds. There are 25 rounds in the box, so you can try out a few then put the remainder in your safe for personal protection use, whether at home or out and about. All of Hornady’s ammunition is manufactured right here in the United States at their plant in Grand Island, Nebraska. They ship their products around the globe, and the company has stayed in the Hornady family all these years. When Joyce Hornady passed tragically in an airplane crash in 1981, his son Steve took over the family business, and he has continued his father’s tradition of excellence to this day. When it comes to self-defense, you cannot load your weapon with just any ammunition. Hornady is renowned for their defense ammunition, and if you’ve never tried it, it’s past time you did.